WASHINGTON (April 17, 2018) – (RealEstateRama) — The International Housing Association (IHA) is focusing on ways to secure the skilled work force necessary to address the needs of the residential construction industry around the world, IHA leaders announced during the association’s annual meeting April 11-13 in Washington, D.C. This effort will further the IHA’s priorities on housing affordability, availability and choice, while assisting to position the economies of IHA member countries for future success. “The global residential construction industry has experienced a growing shortage of skilled labor for many reasons. Workers are leaving their home countries for better job opportunities elsewhere, the population of skilled trade workers is aging and young people are seeking professions requiring a college education instead of the building trades,” said Kristin Brookfield, IHA chair and chief executive for industry policy at HIA Australia. “With the residential construction industry in most countries facing increased housing demand, the skilled labor shortage creates a range of challenges that ultimately affect housing supply and affordability. “IHA members have a common interest in ensuring that the residential construction industry can address these challenges, and the recent discussion allowed members to share information about housing demand and skilled labor shortages in their country. 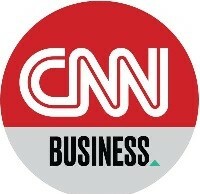 “We have agreed to look at the potential solutions to address the skilled labor shortage. Our membership represents 13 different countries, so we have the unique opportunity to be able to share our experiences and recommendations on different programs and policies,” she said. Members will pursue a variety of goals including: raising the perception of skilled trades, sharing strategies designed to address the benefits the industry provides to a diverse group of workers and sharing approaches to make certain those taking up training in the residential building trades are appropriately paid. “Members recognize this is a complex problem and that there are no simple solutions, but we hope that by working collectively we can gain insights in ways to improve the supply of skilled labor for the residential construction industry,” she said. 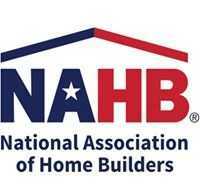 The National Association of Home Builders (NAHB) serves as the Secretariat of IHA. For more information visit www.internationalhousingassociation.org.